Come along on an Arctic adventure with a little girl and her father and learn all about polar bears! 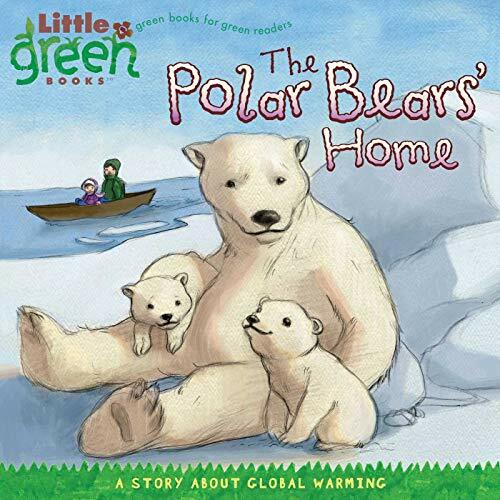 This 8 x 8 storybook shows how global warming affects two baby polar bear cubs and their family. Includes tips for kids on what they can do to help slow down global warming. This 8 x 8 paperback book is perfect-bound and will be printed on 100% post-consumer waste recycled paper with soy-ink. The paper is FSC certified. * A new “green” series! : Little Green Books will educate children on what they can do to be more eco-friendly. The books in this line will be made from recycled materials, and the storylines will cover subjects such as improving the environment, learning about endangered animals, recycling, and much more. Lara Bergen is the author of more than one hundred children's books. She lives in New York City with her husband and two kids--Sydney and Parker.